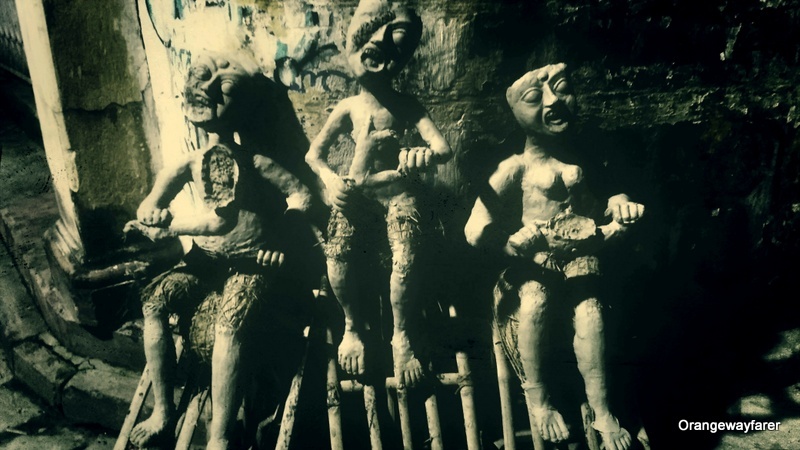 As I am writing this blog post, my forefathers from past 14 generations, along with a school of “Pretatma”, the disappeared souls with desire for Earthy pleasure have been unleashed from the hell. The smokescreens shall appear in the alleys. This is their night. Are you prepared to treat them with the relish of 14 foliage, the “Chodyo Shaak” as Bengalis would say? My grandmother is from Borishal, Bangladesh. I can literally see the teenager woman, knee soaked in the pond water by the side of her ancestral home, venturing out to pluck a Shapla. 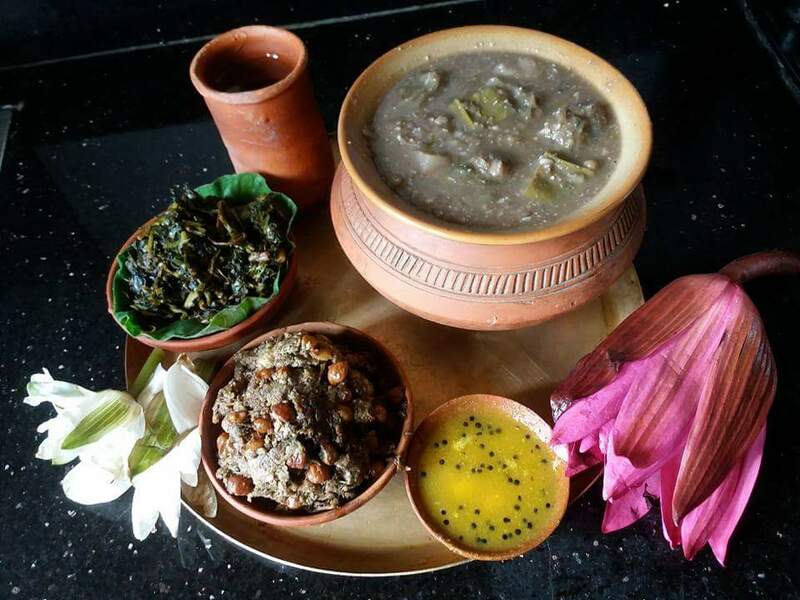 The stem and Root may be used at Garu, the primary vegetable for this Daal, the lentil soup, along with an assortment of different root vegetables, mainly Kochu et al. The lentil used is Matar Daal. They are boiled to perfection and served with a dollop of ghee and grated coconut. 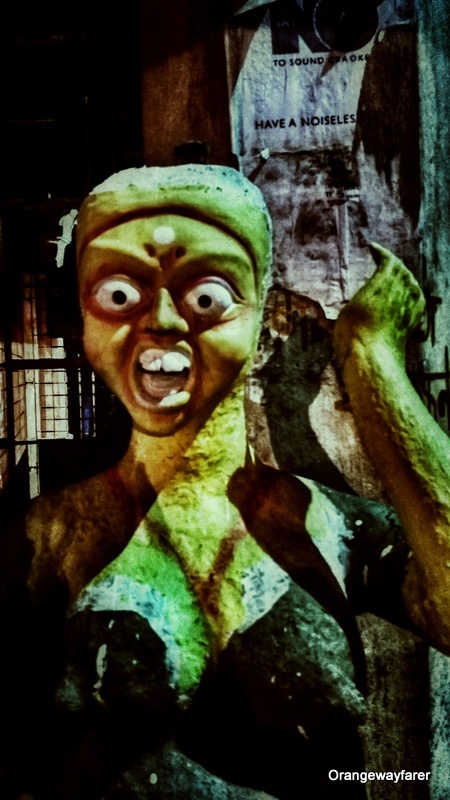 The whirl pool of local customs observed by Hindus in Indian subcontinent is a dramatic melange of Goddesses seeking revenge, demonstrating immense energy, to the extent of extreme wrath. Often they are worshiped by many school of devotees, namely Kapalikas and Tantriks, whose customs are often not in the line of simpleton citizens and looked at with fear. Well, rituals with human skull and fermented grape juice do have the potential to evoke fear. Cannot really blame. 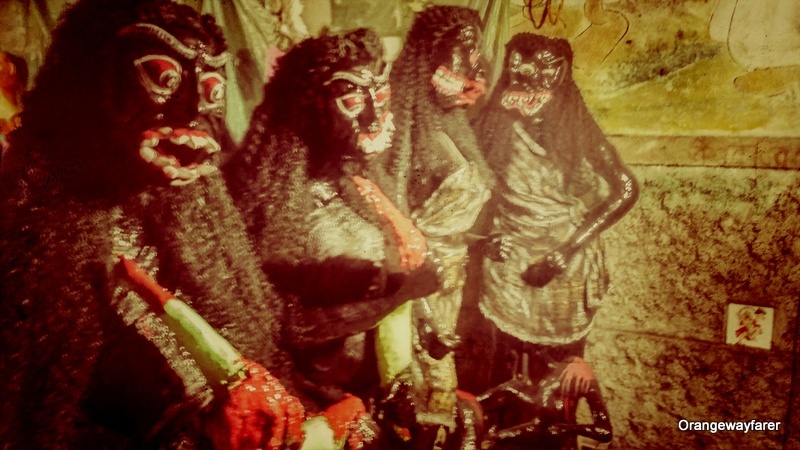 I am recalling the days where Kalipuja festival meant we shall seek out to witness the Dakini and Yoginis, the Shakti consorts of Goddess Kali with awe as Dida will narrate the scariest of fables. 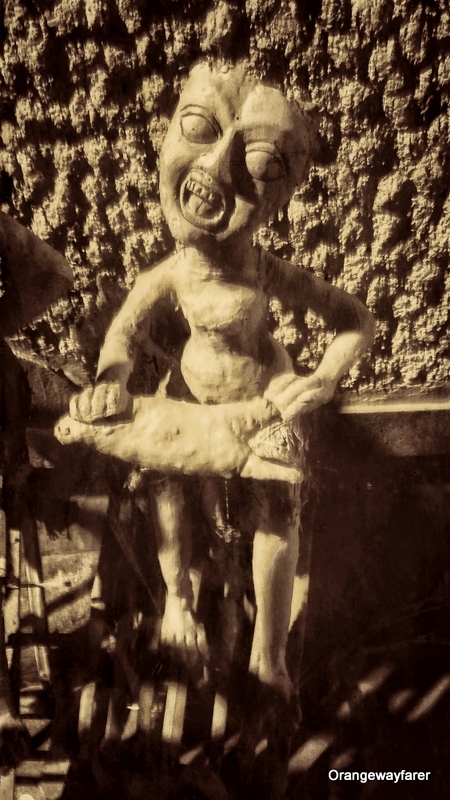 How the Dakini shall tear up the fresh and only your teeth shall remain for identification. “Nomo Koro, bhalo kore nomo koro”, She used to advice. 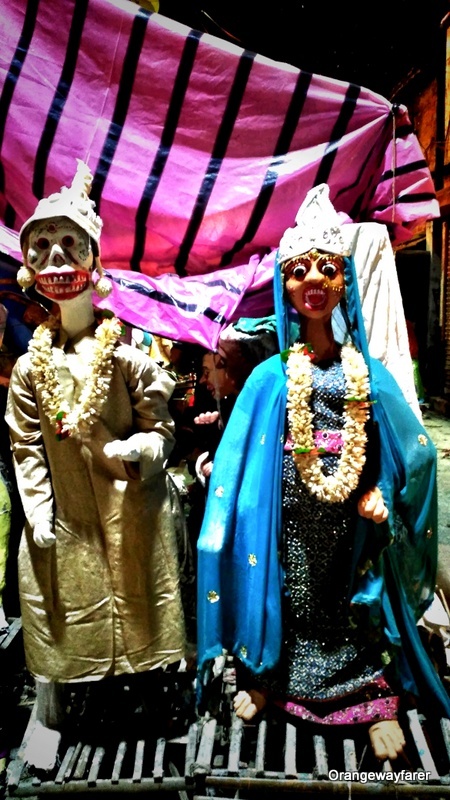 Ever since, dakini jogini is the reason why I will look forward for Kalipuja. Andhak, the name generating from “Andha”, a blind, showed lust for his mother Durga, resulting in a fierce battle with Shiva. Each of his blood drop gave birth to a new Andhak, Raktabeej (the seed of blood). 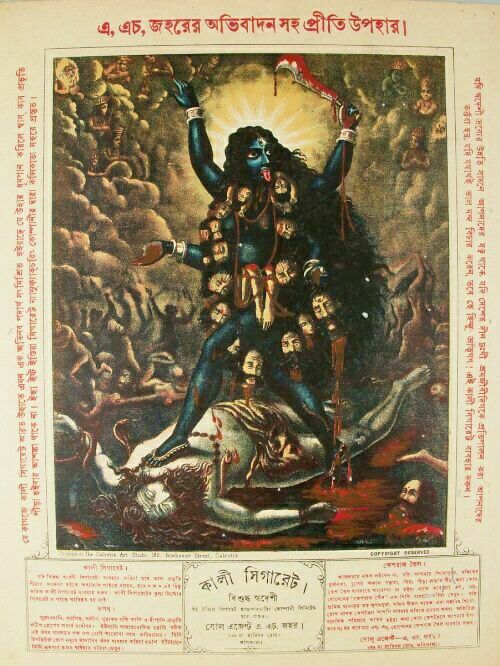 The weary mother invested all her energy in creating Kali, She started an unforeseen savage war. 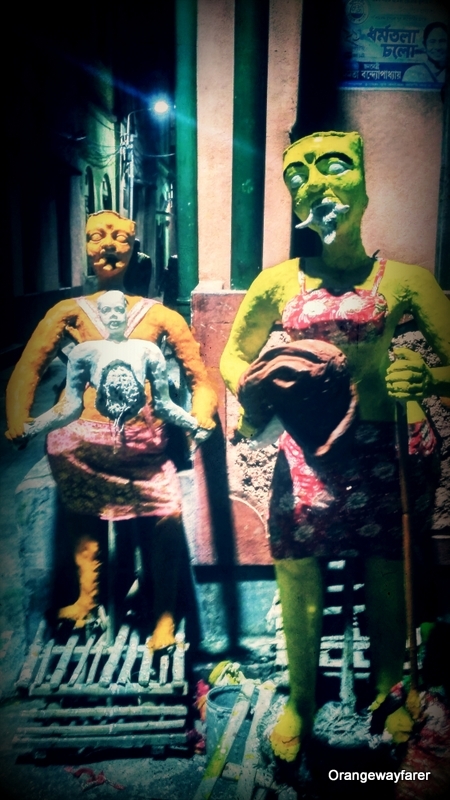 Her consorts were the Dakini and Yogini, the gory ones, almost gravediggers. 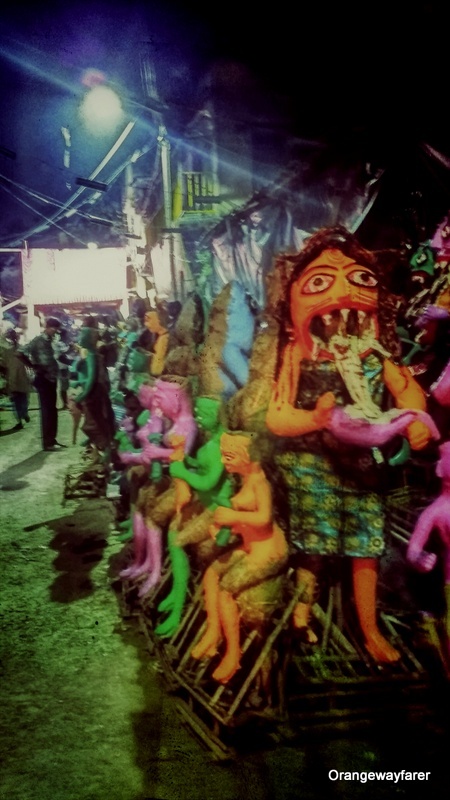 The Kali Puja, idol making in progress. Dakini, Yogini, much like the goddess we worship, has largely become the girl next door for us. Almost every other Kali Mandap in Kolkata shall make you bump into one at the entrance. Dying has become just another way of living for them. Unlike the magnificent Dakinis of Khajuraho temple or that of the same from Orissa, they are very much local, in the way they dress, the food they savor, the marriage attire and every bit of detail. Somewhere between standing in front of them with nose drippings and wide eyes and holding Dida’s hand tighter, to missing the Dakinis to the extent of writing a blog post, I grew up. 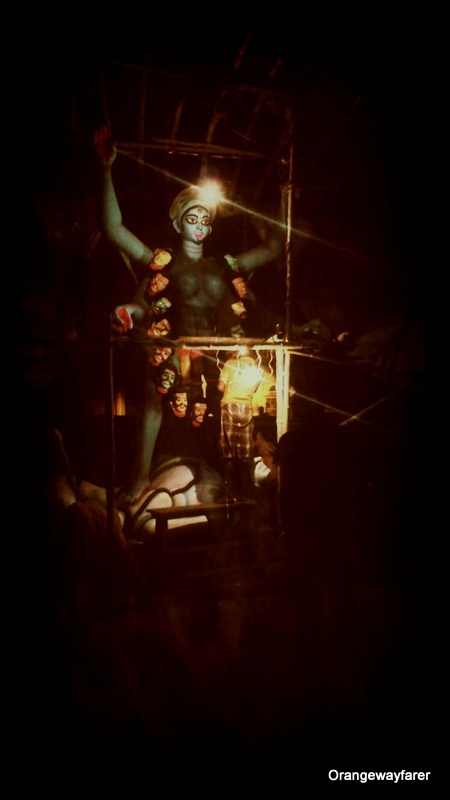 I hear Kolkata’s Kumortuli has become a Dakini Yogini Avenue these days.The idols are all decked up and ready to be shipped across the globe. 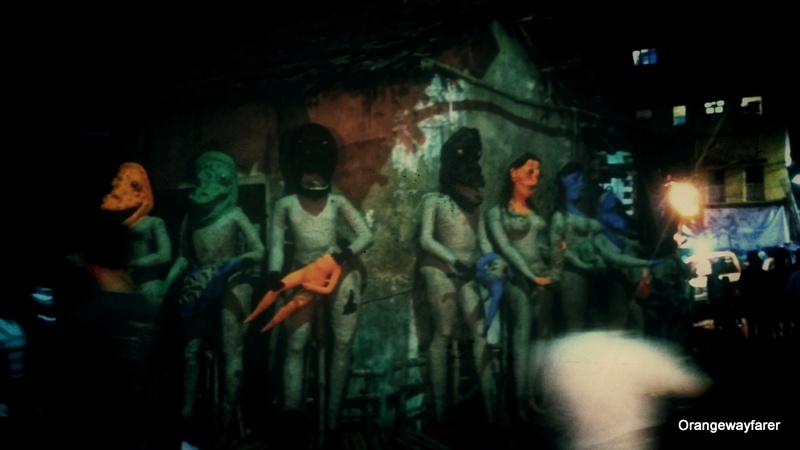 Amrita Gagan Chakraborty, a true blue North Kolkatan has sent across the pictures for your amusement. She is one among the many writers I adore. Read her blog and marvel! ইহা ইস্ট-ইন্ডিয়া সিগারেট ম্যানুফ্যাকচারিং কোম্পানি’র দ্বারা কলিকাতা শহরে প্রস্তুত।।” An old school advertisement of cigarettes branded as Kali Cigarette that claims to cause no harm to your respiratory system! *** HELP ME RUN THIS BLOG! Please note this Disclaimer: In this blog, I use affiliate links at times. I will always tell you and these links are only for items that I use and approve of. If you click an affiliate link and purchase that product or service, I will be paid a small commission but your cost will still remain the same or less. I will always disclose this at the bottom of the post. This money goes towards keeping this site online. Please note : We are a participant in the Amazon Services LLC Associates Program, an affiliate advertising program designed to provide a means for us to earn fees by linking to Amazon.in and affiliated sites. If you found this website helpful, please support it. Enjoyed reading this post, specially the part “Nomo koro, bhalo kore nomo koro” made me remember of my childhood days with Dida and Thakuma. 🙂 🙂 thank you so much! It is purely because of my Dida and her storytelling abilities I remember my childhood days with fondness! Interesting post. However, a yogini should not be fear inducing, at least literally. A yogini is one who regularly practices yoga. Of course in another sense those who come to such a woman with bad intention might get afraid to do something wrong. Of course, yogini as described by he Hindu shashtra and by the inscription on the traditional Temples is anything but scary. However the whole point here is how the Bengali culture has adopted the idea and assimilated the same with culture. Local rituals and customs always triumphs by appeal. And lately I find them endearing. For example, look at the skeleton brides! Please edit out the word ‘year’ from the second sentence of my comment. öncelikle dökülmenin yoğun olduğu bölgeye, sonrasında tüm saç ve saç derisine yaklaşık bir dakika dairesel hareketlerlemasaj yapılarak uygulanır, durulanmaz.